Affirmation: The earth is my mother. I am one with all that is. 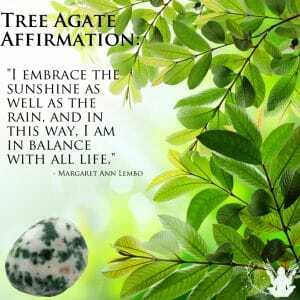 I am connected with the sacred energy of the trees, plants, & shrubs. 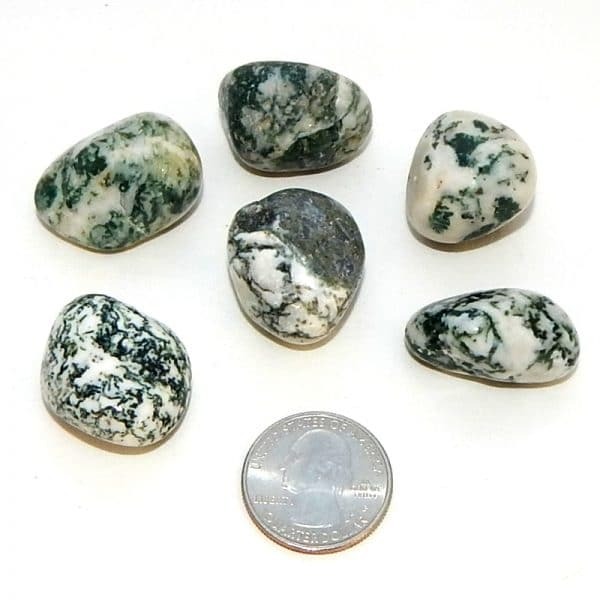 About the stone: Tree Agate is silicon dioxide forming into microcrystalline quartz forming white gemstones with dendritic, or branch-like, inclusions. 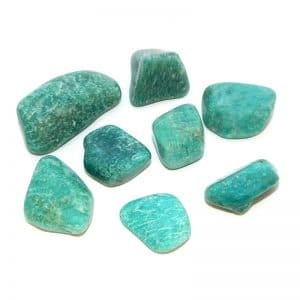 Gemstones are translucent to opaque. 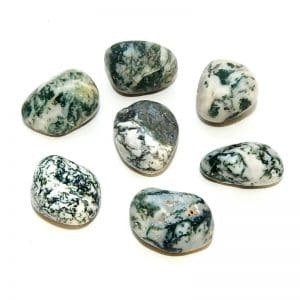 Spiritual uses: Use this stone for earth-centered spiritual pursuit, earth-based rituals, and shamanic journeywork. 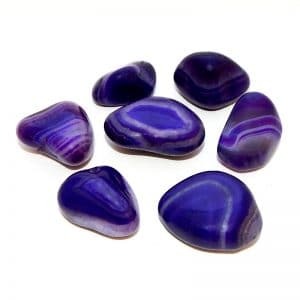 Mental uses: Tree agate amplifies your ability to gather knowledge and wisdom from the universal consciousness. Emotional uses: Use Tree Agate to help you to readily and easily adapt to new things and situations. 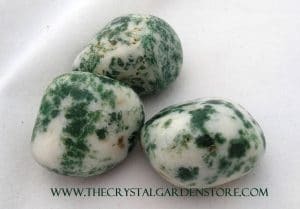 Physical uses: Tree agate is the perfect stone for arborists, gardeners, florists, farmers, aromatherapists, herbalists, and anyone aligned with plants and nature.